Wonder how many breakthroughs were made this way? Have the greatest week everyone! 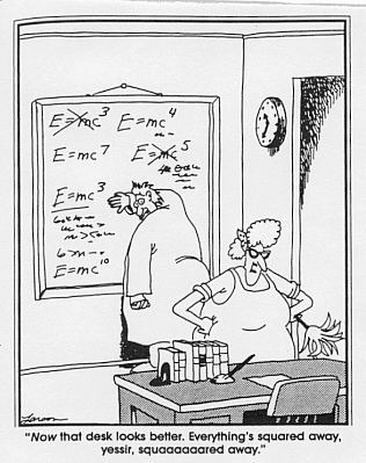 This entry was posted in Monday Humour and tagged Einstein, Energy, Mass, mc squared. Bookmark the permalink. Hola Jorge, un placer conocerte. Con gusto charlamos cuando puedas!